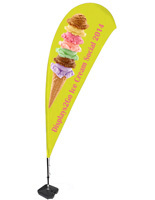 This single color flying banner is 11’ tall which is a great height to attract attention. Vibrant text will really POP out at potential clients. 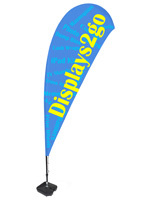 A flying banner is popular at various events such as, festivals, tradeshows, concerts, sporting events, and more. Each teardrop flag comes with a black plastic water base. 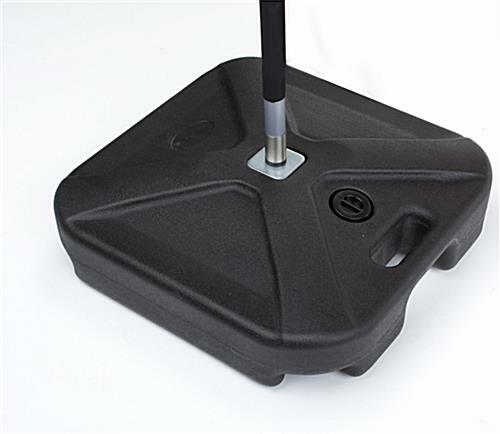 The base is easy to use and is lightweight for transporting. 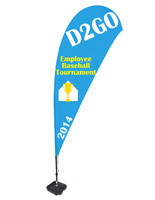 The flying banner is made for indoor or outdoor use. 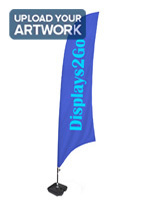 Please Note: This custom teardrop flag is not designed to be used in winds exceeding 50 MPH, see video below for demonstration.